The first game I'd like to unofficially announce comes from a unique entry from the DS library. Electroplankton is a one of a kind piece of electronic art from the colorful mind of Toshio Iwai. A small team of developers brought the sonorous, melodic, and sometimes cacophonous aquatic animals to life on the DS, and now I'm please to announce that we're taking Iwai's vision and inspiration into open waters. An ocean of water to be exact. In ElectrOcean, players will be free to interact with a variety of musical "plankton" simultaneously unlike what could be done on the Nintendo DS. This time, players will be submerged into a 3D sound environment thanks to the implementation of our new "Dyanmic-Interactive-3D" sound design (Drebin #11). Instead of listening to paltry DS speakers, personal headphones, or even a home surround sound system, the sounds in ElectrOcean can be projected from a combination of such outlets simultaneously. Gather as many controllers as you want and sync them up to the Wii. Once synced, each controller becomes an individual "plankton" or musical, interactive system. In ElectrOcean, a single Wiimote can become an Electroplankton that changes the music/tones it produces depending on which side of the Wiimote is pointing up. Waving the Wiimote around through the air then would create a variety of sounds and effects that not only make up the interactive system of that particular plankton, but can also interact with any other plankton systems that are set up. Anything that hooks up to the Wii can turn into a unique interactive plankton based on the controllers unique features. 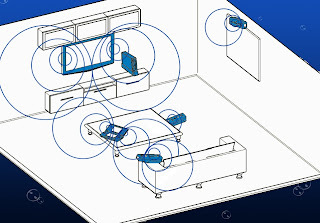 With the self contained systems (DS,GBA) ElectrOcean can potentially spawn an infinite number of plankton because the handhelds don't have to maintain a wireless connection with the Wii. The more plankton you spawn, the more players can join in the fun. ElectrOcean is a simple idea coupled with a simple presentation that has impactful results that reach well beyond the interests of gamers alone. It's so easy to pick up and play, gamers and non-gamers of all types can get in on the experience with ease. 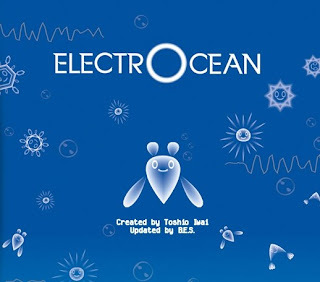 ElectrOcean is everything Wii Music is trying to be. Except, without being tied down to simulating real world instruments and sounds, in ElectrOcean players are free to explore the 3D interactive world of sound via the Electroplankton. Everyone should experience being submerged in sound. 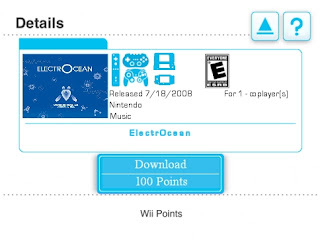 This is why ElectrOcean will launch today on WiiWare for 100 points. This is part of a new business model we're pushing where players are free to enjoy their Wii and the kinds of experiences that only the Wii can bring without fear. At just 100 points, I don't think anyone will ask for a demo.